The hypnotic beauty of Gregorian Chant intoned in high-vaulted churches and cathedrals has found widespread popularity in recent decades through countless recordings. 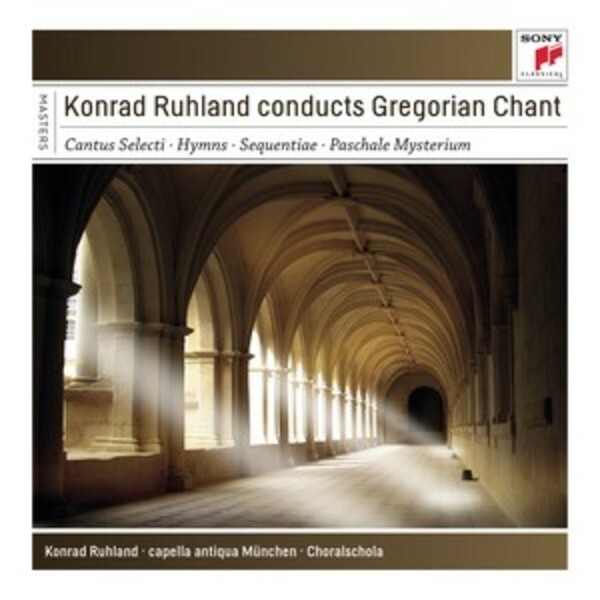 Some of the most distinguished of them were made in the 1970s, 80s and 90s by the German musicologist Konrad Ruhland, directing choirs he founded in Munich and elsewhere in Bavaria. Typical of the 4-CD selection of his recordings for Sony and RCA is a �stimulating� (Gramophone) disc containing some of the most beautiful early Christian Latin hymns, which that magazine�s reviewer lauded for Ruhland�s carefully considered interpretation and the �unerringly robust� style and vocal quality.